Auto Salvage yards are said to be the graveyard of vehicles that can no longer be fixed because of several factors. There are a lot of auto salvage yards that buy “hopeless” vehicles. So rather than really “junking” that old one, you can still earn some money out of it. Auto salvage yards are also referred to as scrap yard, junkyard, auto recycling center and more. When your old vehicle does not work no matter how many times you visit a mechanic or if the damaged part costs almost the same as a new or second-hand vehicle, it is now time to visit an auto salvage yard. Auto salvage yards assess the condition of the vehicle before buying it. They will check parts that are still useful and offer you a decent price once you have decided to sell it. It is best to visit or contact different auto salvage yards so that you may be able to weigh which one can provide you the best price for your vehicle. Selling an old vehicle is not just about the money. It is also environment friendly as it will be properly disposed and useful parts may still be sold to someone who needs it. Recycling and reusing – that’s one of the many benefits auto salvage yards can provide. 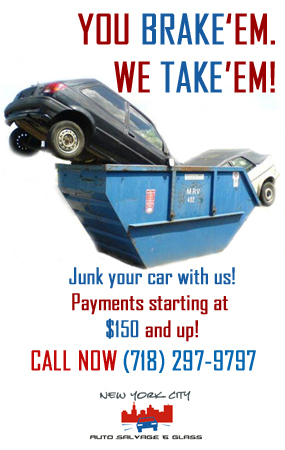 If you plan to sell your vehicle, you can contact New York Auto Salvage & Glass for unbeatable offers. We also sell used car parts and glasses that are still perfectly working. Our business is located in 148-36, Liberty Ave, Jamaica, New York. 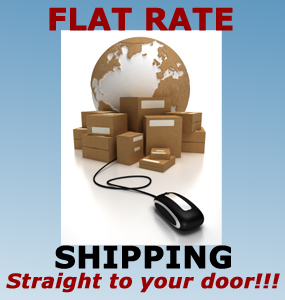 You can also call us at 718-297-9797.